Apple pie, in my humble opinion, is the best winter comfort dessert. There is something about the combination of cinnamon, nutmeg and apples that just makes my mouth water. Unfortunately, traditional pie crust usually contains a lot of butter, lard and shortening to get it super flakey so I came up with a super easy and delicious alternative. 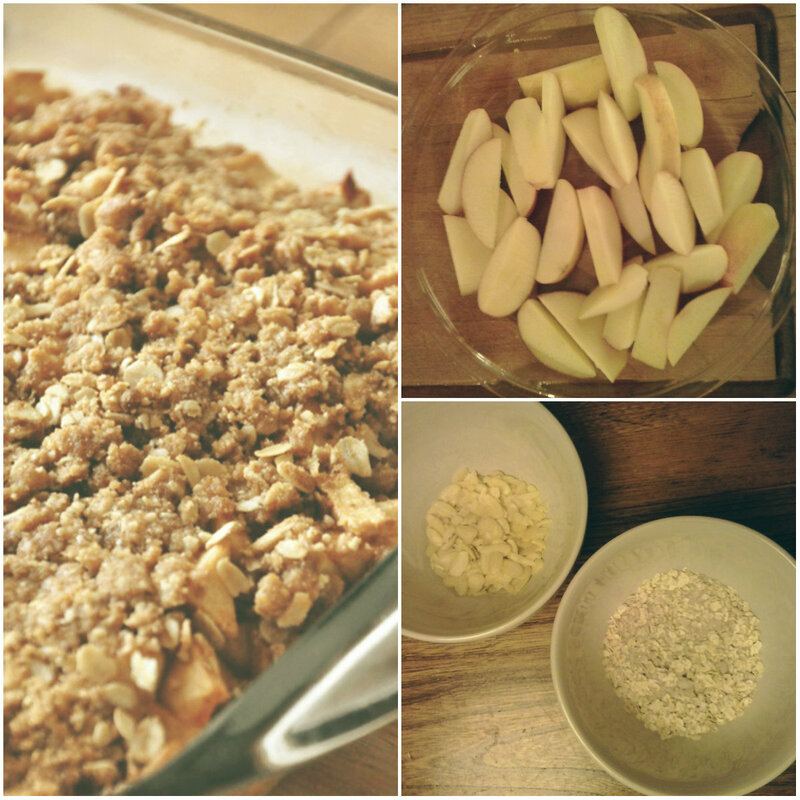 This is a recipe for Vegan Apple Crumble or if you want to get fancy…Vegan Deconstructed Apple Pie! If you are pressed for time but want something that is satisfying and wholesome, give this a try. 1. Preheat oven to 375 degrees. Lightly grease a glass dish or baking pan. 2. Slice apples evenly and place in a large bowl, then sprinkle with lemon juice. Toss and coat the apples with sugar, cinnamon and salt. 3. Transfer the coated apples to your baking dish. 4. In a bowl mix together oats, almonds, flour, brown sugar, and salt. Add the non-dairy butter while stirring. 5. Sprinkle the mixed ingredients over the apples and bake until the apples are soft and the topping is a golden brown. **You can use an all purpose gluten-free flour blend such as Bob’s Red Mill Brand.